Just a few decades ago, South Africa’s oldest working harbour was an uninviting, industrial port. Today, the V&A Waterfront is one of Africa’s most popular destinations, attracting millions of visitors each year. Here, the old world charm of the historical harbour collides with the truly world-class modern shopping experience, but there’s far more on offer. You’ll find fine-dining restaurants, down-to-earth food markets, museums, and more leisure activities than you can count on both hands—not to mention the unbeatable views of Table Mountain. There are countless things to do at the Waterfront, and they offer an exciting way to experience it all. The free audio walking tour was launched on 15 March 2018, and it provides a whole new perspective on the Waterfront. It works through a locally developed mobile app called VoiceMap. The tour is an audio-documentary style immersive journey through the Waterfront. The app plays audio recordings automatically as you arrive at each location along the route. It’s like a podcast that takes you right to the very location you’re hearing about, bringing each site to life with stories, interviews, and soundscapes. The tour starts at the V&A Waterfront Information Centre, where you can download the tour using free wifi and pick up some complimentary earphones. From here, you’ll make your way along Dock Road, past Nobel Square and through the Watershed market. It loops around the Two Oceans Aquarium and skirts along the water’s edge toward the Clock Tower precinct, ending at the Zeitz MOCAA in the Silo District. Over the course of an hour-long stroll, you’ll hear about the humble beginnings of the V&A Waterfront, starting in 1989. You’ll be swept up in the currents of history and culture, exploring the hidden traces of the past, the complex dance of daily operations, and the exciting opportunities of the future. 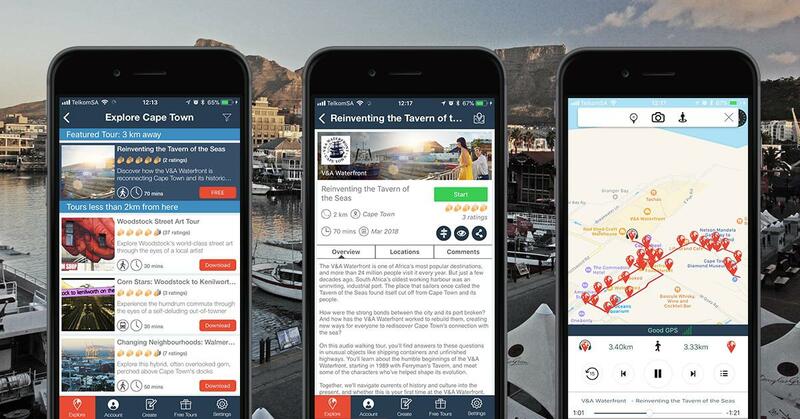 You’ll hear interviews with people central to the Waterfront’s story, and immersive dialogue that invokes the spirit of the historical port and it’s modern day incarnation as one of Cape Town’s top attractions. First, download and install the VoiceMap app. Sign up using Facebook or email. Select Cape Town from the menu. Select and download the free tour, Reinventing the Tavern of the Seas. Once the tour has finished downloading, simply plug in your headphones and tap Start. You can download the tour and maps while you’re connected to wifi. There is free wifi available at the Information Centre at the Waterfront, as well as free earphones which you can use for the tour. VoiceMap works offline, so you don’t need to worry about data costs. You can just listen to the directions, and focus on your surroundings while the app does the rest. If you do wander off course, the app will let you know, and you can take a quick look at the map on your screen if you’re unsure about where to go. 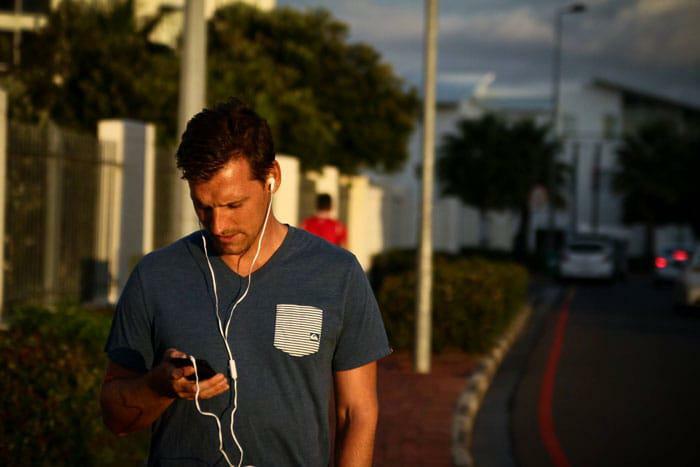 VoiceMap is available in 46 countries and 115 cities to date, with 45 walking tours in Cape Town alone. Download the app and you’ll have a tour guide in your pocket almost anywhere you go. There are also some tours available in German in Cape Town, with other languages on the way. See pics others have shared at the V&A Waterfront and share your own using #lovecapetown!